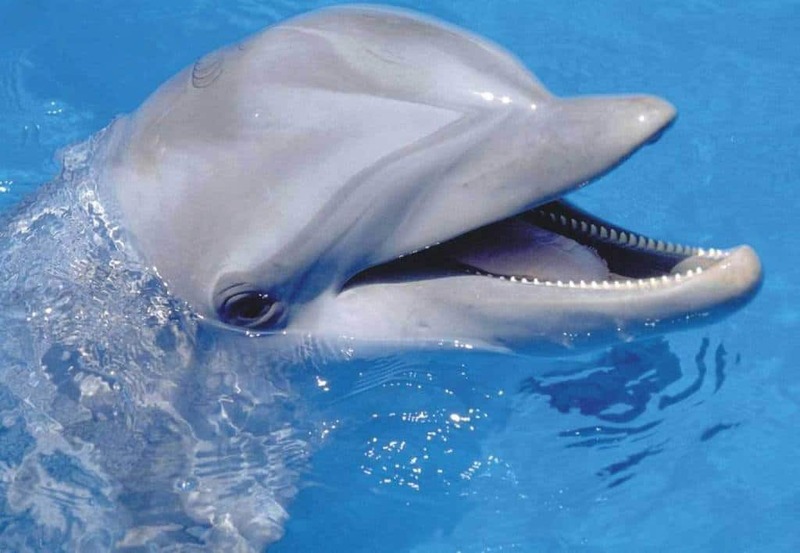 Do you think of Flipper when you think of a dolphin? Do you think of the social, fun-loving, intelligent, inquisitive mammals of the sea? Who doesn’t love dolphins? 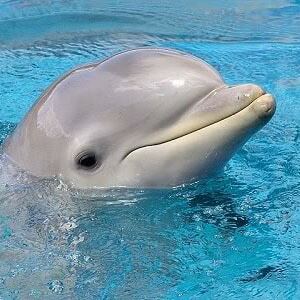 Dolphins and whales are cetaceans, which is the collective name for all whales, dolphins, and porpoises. There are 43 species of dolphins – including 5 river dolphins! Sadly, many of the cetaceans – both whale and dolphin species – are endangered. Hunting and fishing not only affects the cetacean populations, but it also affects the ocean ecosystem as a whole. Trawling the bottom of the seabed – or ploughing – destroys the fragile organisms and when it is done frequently, there is less time for those organisms to become reestablished. Fishing nets don’t only catch the intended fish – other fish and plant life are also affected. Larger fish that are caught (the bycatch) are discarded and thrown back into the ocean. Which, although it sounds like a good thing, it too, has unintended side effects. Fish that are caught and discarded are often wounded from being caught in the nets or are already dead when they are thrown back. Birds do benefit from the bycatch, and the numbers of birds have dramatically increased in certain areas. (From Our Threatened Oceans). Broken fishing lines and nets can also pose a hazard when aquatic life become tangled and wrapped up in them. Plastic is also a problem in the ocean. Much of the plastic that humans use – water bottles, six-pack rings – end up in the oceans. That plastic poses 2 problems – entanglement and ingestion. About 800 miles north of Hawaii in the Pacific Ocean is an area – more than twice the size of Texas – called the Garbage Patch. The Garbage Patch is the eastern corner of a 10-million-square-mile oval known as the North Pacific sutbropical gyre. Boats generally steer clear of this area because it is calm. Sailors call it “the doldrums,” and generally avoid it – as do the ocean predators. It is like a desert – a deep, slow, clockwise-twirling vortex of air and water which is caused by a mountain of high-pressure that that lingers above it. Captain Charles Moore discovered the Garbage Patch by accident in August, 1997. He found plastic bags, nets, ropes, bottles, motor-oil jugs, cracked bath toys, a mangled tarp, a traffic cone, and so much more garbage floating, stagnant in the ocean. This “land fill” not only pollutes the surface but also is leaking into the food chain. 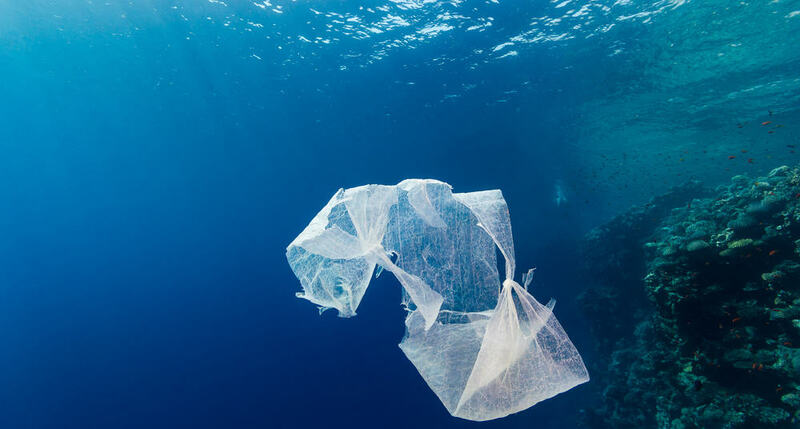 By using a manta trawl (a fine-meshed net) he and his researchers discovered minuscule pieces of plastic, some barely visible to the naked eye, swirling in the water. They measured and sorted samples and came up with the conclusion that this portion of the ocean contains 6x more plastic than plankton. 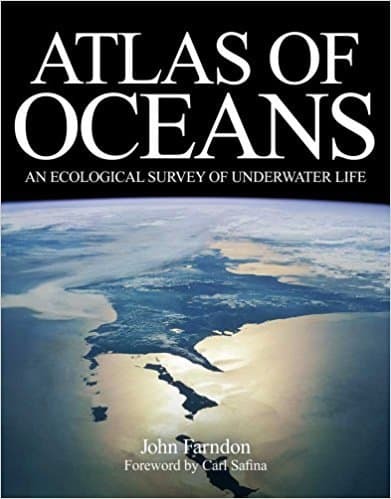 Atlas of Oceans : An Ecological Survey of Underwater Life is a beautiful book full of colored photographs and is full of information covering everything from the ocean deeps, polar waters, tropical waters, the Pacific, Atlantic and oceans and seas across the world. Is it possible to halt – and reverse – the effect we, as humans, are having on Earth’s oceans? It actually is possible for the dead zones to recover by using less fertilizer and cutting emissions from sewage plants and industry. In the late 1980s the Danish government implemented an action plan to restore wetlands. Reducing the use of fertilizers has helped increase the oxygen levels of the Kattegat Strait. They have also found that decreasing fertilizer use has not reduced the crop yields. New, creative ways to change common items into ecological friendly items can also make a difference. For example, Saltwater Brewery, Delray Beach, FL, has created edible six-pack rings that can feed, rather than kill, marine life! They are made of barley and wheat which are beer by-products! They are safe for both humans and fish to eat and are also biodegradable and compostable. For a more in-depth (no pun intended!) look at what you can do to help preserve Earth’s oceans, Oceans: The Threats to Our Seas and What You Can Do to Turn the Tide has a section, “What You Can Do,” aimed specifically at highlighting what individuals can do. Stone, Maddie. Jan. 21, 2016. We’re Emptying the Oceans of Fish and Filling Them With Plastic. Gizmodo Allure Media. First-ever underwater video of the elusive True’s beaked whale. March 7, 2017. New Scientist. Whyte, Chelsea. First Underwater Footage of Rare Beaked Whale. New Scientist March 7, 2017. April Showers Bring Umbrellas – New Exhibit!